When I was thinking about the post I wanted to link up to December’s Celebration Cakes And Bakes I knew pretty much straight away that I wanted to write about the cake I made for my family last Christmas. 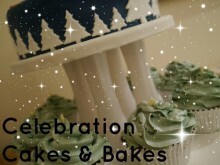 Not only because it’s one of my favourite cakes that I’ve ever made but also because it’s the image I used for the Celebration Cakes and Bakes badge. I wanted to make a snowy night scene with Santa in his sleigh flying across the sky above the trees. I decided to do two tiers with cupcake trees at the bottom and more trees around the edge of the main cake. I spent a lot of time looking for inspiration but in the end I pretty much made the design up as I went along. I bought some cutters to use for the fondant of trees, stars, a sleigh and reindeer, Santa and his sack of toys I cut out free hand. I covered the cake drums with plain white fondant and used white for the trees on the cake to make a simple snow covered scene. The stars in the sky I made silver. The cake was my standard chocolate cake recipe. 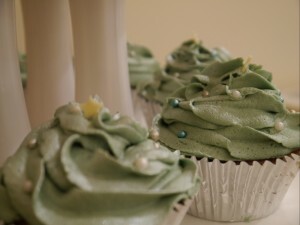 For the cupcakes I used my standard vanilla cupcake recipe and made a pale green vanilla frosting which I swirled into a peak to create pine trees. 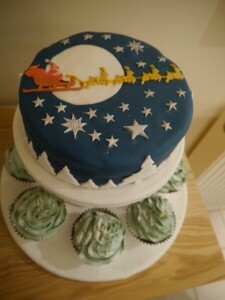 I added blue silver and white sugar pearls, white chocolate stars at the top and finally used a pearlescent shimmer spray to give a frosty effect. Last Christmas was before I started blogging and before I started putting a lot of thought into taking good photos of my cakes. Luckily my husband decided to play with my camera and took a couple of nice angled shots of it. 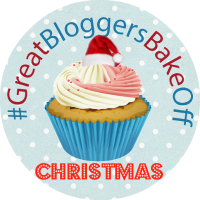 The one I think is most effective has (as I said earlier) become the badge for my monthly linky Celebration Cakes and Bakes. 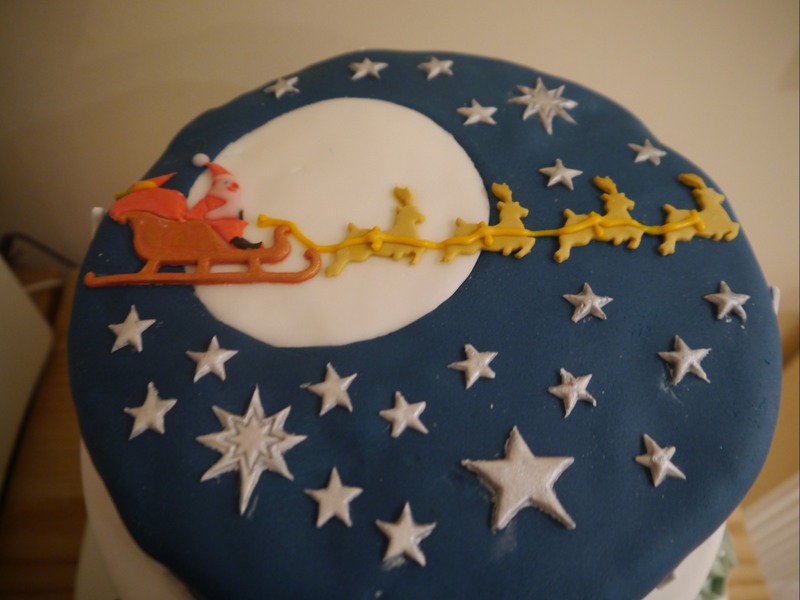 I’m linking this post to December’s and I hope it inspires you all to make exciting Christmas cakes! This entry was posted in Christmas is coming, Large cakes and tagged chocolate christmas cake, christmas tree cupcakes, night sky christmas cake, Santa christmas cake. Lovely blog with some great ideas and inspiration – puts my cakes to shame lol! What a wonderful cake…am always in awe of anyone who has mastered “sugar craft” – simply stunning!